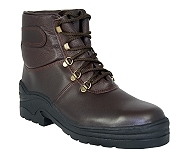 This smart waterproof leather yard boot with it chunky sole is ideal for riding and as yard boot for stable work. A super comfortable yard and stable boot for the leisure rider or groom. 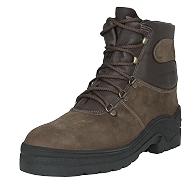 The design of the boot provides a close and supportive fit around the ankle giving superior comfort. Ideal if you have narrow ankle. The Climate Control Technology will ensure that your feet are comfortable whatever the weather. COOL in summer and WARM in winter. It is the perfect summer and winter stable boot. The lining is not thermal but insultative. For matching gaiters Click Here. When purchasing yard boot + gaiters you get 5% discount on both.